Margin erosion and regulatory hurdles are hitting Indian pharma companies hard in their biggest market. The way India's largest drug maker Sun Pharmaceutical rose and fell in the US, a country that accounts for 44 per cent of the $1.1 trillion global drug market, is an indication of the challenges that the Indian pharmaceutical industry is facing in that market. Sun entered the US in 2008/09 by acquiring Caraco and ramped up its business in the next few years, launching complex generics and coming up with many first-to-files (FTFs) to reap exclusive generic sales opportunities. In FY2010, Taro Pharmaceuticals was also acquired. Between 2006/07 and 2013/14, Sun Pharma's US sales grew steeply, from `500 crore to `9,800 crore. In 2014/15, it reached `13,700 crore, around 60 per cent of the firm's total revenue, even though the company acquired a trouble-torn Ranbaxy. From then on, its sales growth in the US market went flat. Its US earnings fell to `13,500 crore in 2015/16 (50 per cent of its total sales) and reached `13,800 crore (around 45 per cent of its total sales) in 2016/17. Overall, its 10-year compounded annual growth rate (CAGR) in US sales stood at 39 per cent. The slowdown came in spite of the Sun's all-out efforts to resolve the regulatory issues at its Halol plant beside expanding its business with new products and three small key acquisitions over the past two years. So, what has gone wrong? Fast-increasing regulatory hurdles, rising competition, consolidation of channel partners in the US leading to less bargaining power, price erosion and lack of new opportunities are now plaguing Indian pharma. Going forward, Indian drug companies must develop new scientific skills and identify less-competitive, high-margin difficult-to-develop complex products to keep the momentum going. Also, they will have to find fresh R&D capabilities in biologics to keep the US success story intact. After the 1972 Patent Act (it allowed reverse engineering of drugs) helped create an Indian generics industry, initial sales were restricted to domestic and traditional export markets. Exports accounted for 3 per cent of the total production in 1980/81, which jumped to 24 per cent by 1994/95. Around 90 per cent of the exports were sold to developing markets, including Asia, Africa, the Middle East and Russia. At the time, exports to the US, the most lucrative market, were restricted to active pharmaceutical ingredients or APIs, but that business gained momentum post 1995. Soon, the Indian industry evolved into a generic powerhouse, and 33 per cent of their total sales are now coming from the US market. Indian companies, which made 30-plus acquisitions in the US over the past two decades, account for 40 per cent of the generic sales in that market. They hold another 40 per cent of the abbreviated new drug applications (ANDAs) containing the data submitted to the US Food and Drug Administration (FDA) for approval of generic drug products. India now has 600-plus USFDA-approved facilities, the biggest ever outside that country. As of now, most Indian pharma companies exporting to the US are facing issues with the USFDA, the gold standard in drug regulations across the globe. 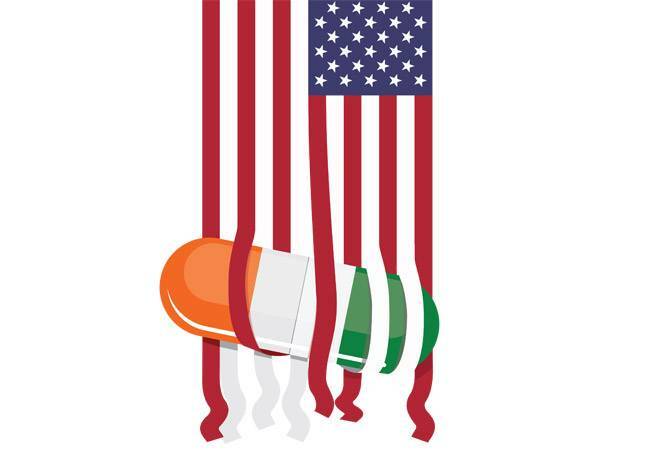 A few years ago, a US accounting office had observed that the organisation failed to inspect nearly one-third facilities supplying drugs to the US market. It led to the enactment of the Generic Drug User Fee Act (GDUFA) mandating focus on quality and ensuring that companies, foreign or domestic, that participate in the US generic drug system must have the same consistent and high quality standards. In FY2015/16 alone, about 20 Indian companies were served warning letters by the FDA for not complying with its standards. "Many plants in India are more modern and younger than (those) in the US. But the biggest issue of Indian companies lies with trust, which means quality is an assurance that you promise and have to deliver," US-based Dr Ajaz Hussain, Senior Advisor, Risk Consulting, at KPMG in India, told Business Today in a recent interview. He had worked with the USFDA and its Center for Drug Evaluation and Research for more than a decade. Inability to follow procedures, lack of scientifically sound laboratory controls, discrepancies in data maintenance records, ignoring high-end hygiene and problems with plant maintenance/factory environment are some of the common issues raised against the Indian companies in those warning letters and inspection reports called '483' observations. A couple of years ago, an EY survey revealed that 25 per cent of the participants from the Indian drug industry were unaware of the 21 Code Federal Regulation Part 11 standards prescribed by the USFDA, which establish the criteria to record data in electronic form. Another survey by Deloitte covered 33 leading organisations and found that poor compliance management and lack of internal controls, data security, quality systems and skilled resources plagued most of those firms. Industry sources say lack of proper education and training for professionals working on the front end at the factories is an issue with most manufacturers and attrition level for such trained professionals are nearly 40 per cent. Experts further observe that drug manufacturing will become more technology intensive and the FDA is moving towards the concept of continuous manufacturing, and real-time process control and monitoring standards. Unless Indian companies are willing to spend on the standard rules prescribed by the USFDA from time to time, the US market will remain a challenge for them. Adding to the woes of India's leading US exporters, the USFDA has significantly reduced approval timing in the past couple of years. Earlier, it would have taken up to 42 months to clear an ANDA, but it has been reduced to nine months or so in 2017. With more and more new companies coming in and the number of approvals going up, competition has become more intense. 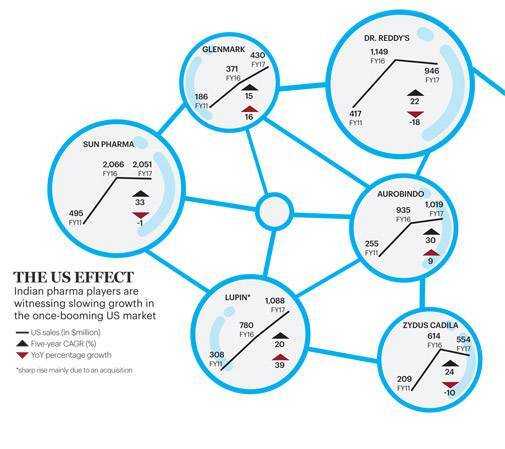 A wave of consolidations and novel alliances among drug distributors is currently redefining the market dynamics in the US, pressuring Indian generics companies to settle for lower margins. Now the top pharmacies - CVS Health, Walgreens Boots Alliance, Express Scripts, Walmart, Rite Aid and UnitedHealth Group - account for the majority of the US prescription dispensing revenues. In 2012, the US drug retail market had numerous players with CVS/Caremark leading with 21 per cent, followed by Walgreens (16 per cent), Express Script (12 per cent) and Rite Aid (6 per cent). The remaining 45 per cent market share was held by different companies. But the companies either merged or formed alliances to consolidate and thus by 2017, the combine of CVS/Caremark, Cardinal and Omnicare holds 28 per cent of the market. Walgreens is also teaming up with AmerisourceBergen, Rite Aid, Express Script and a few others to create a majority combine. Again, Walmart is teaming up with McKesson to corner 18 per cent of market share. The full impact of such actions is yet to be seen, but analysts predict it will create a medium-term setback for Indian companies. In fact, the prescription share of leading Indian drug companies has been falling over the past two years. "Today, clearly, we are in a situation where regulatory approvals for products are coming much faster than they used to do and there are many more players in the market than historically there used to be. 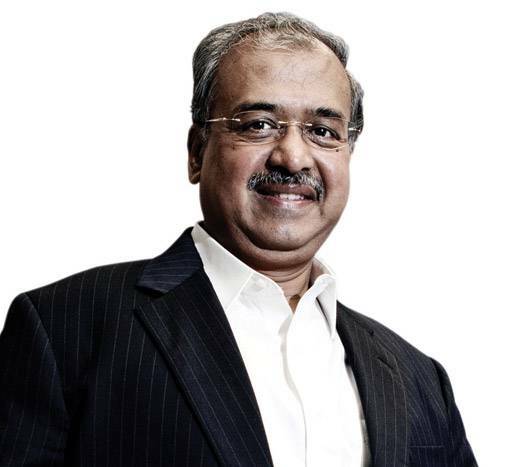 So, I do not know whether what had happened in the past may happen in the future," Dilip Shanghvi, Managing Director of Sun Pharma, said while reviewing the company's Q2 results a few weeks ago. "Structural down cycle in the US will persist in the medium term as there are headwinds in supply side (spike in filings/approvals earned by 'increased' number of players) and demand side (channel consolidation leading to fewer buyers, implying pricing pressure for manufacturers). Companies with a high concentration on fewer products continue to get worst hit given increased competition as the GDUFA has accelerated the approval rate," a recent report from Axis Capital says. With simple generics facing immense competition, companies will have to move to complex ones, speciality drugs, limited-competition products and biosimilars in the future, experts say. For instance, Sun is currently concentrating on speciality areas such as ophthalmology, dermatology and oncology. However, development costs will be high as new scientific expertise must be developed and the company will have to acquire or build manufacturing units to leverage these advanced technologies. "We have been investing over the past few years to transform from a generics company to a branded speciality and complex generics-focussed company. 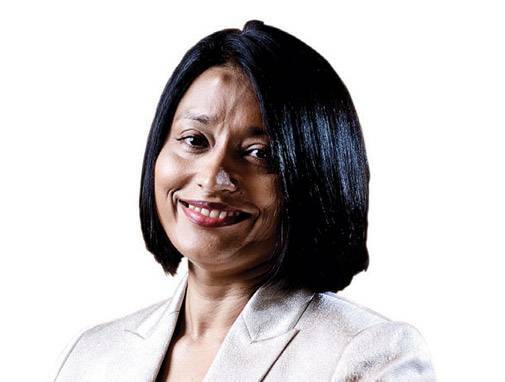 We will soon see the results although currently the US business remains under pressure," said Lupin CEO Vinita Gupta in a recent interaction. As of now, 48 per cent of Lupin's revenues come from the US market. Indian pharmaceutical scientists have expertise in developing small molecules, but they lack expert knowledge in large molecules development required for biosimilars or reverse-engineered biotech drugs, say experts, which will be a key development ground for Indian companies in the future. But whether they focus on complex generics or biosimilars, the US is going to remain Indian pharma's main breadwinner, at least for the next decade.